Your first visit to Foster Chiropractic & Wellness Center will give you an opportunity to experience a warm, caring, and friendly atmosphere where natural health & wellness is a priority! If you’ve already completed your admitting paperwork, great! If not, no problem – you can complete it on an app or use traditional paper forms, if you’d rather. 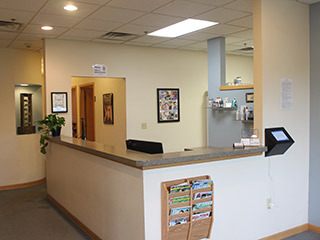 Once your intake process is completed, we will give you an office tour and then you will meet Dr. Brian Foster. The purpose of your consultation is to discuss your condition and health goals. This will allow you to meet Dr. Brian Foster and the staff with no commitments attached. At your initial visit, Dr. Foster will take you through a detailed case history, tests, and an exam to identify the true cause of your health concerns. If necessary, he will refer you for X-rays at a facility nearby. Most patients receive their initial adjustment at their first visit. You will then schedule a follow up visit visit where you will receive a full report of what we found and a recommended action plan.